Blepharoplasty, or eyelid lift, is a surgical procedure that treats common signs of aging around the upper and/or lower eyelids — specifically, droopy upper eyelids and puffy under-eye bags. Such a delicate area demands the skilled hand of Dr. Abdullah, Fargo’s most in-demand surgeons for facial plastic surgery. Ideally, you should be in good physical and psychological health, not smoke and have reasonable expectations of the procedure. Dr. Abdullah encourages you to schedule an informational consultation, during which he will perform a physical examination and inquire about your eyelid surgery goals and ideal outcome. He will also describe his intended treatment plan and may show you before-and- after photographs of his eyelid surgery patients to give you a better idea of the typical results. Blepharoplasty is performed on an outpatient basis. Anesthesia is administered for your comfort, and you won’t feel anything during surgery. Dr. Abdullah can treat the upper eyelids, lower eyelids or both. If Dr. Abdullah is treating the upper eyelids, he will make a small incision in the natural fold of the lid. If he’s treating the lower eyelids, he will place the incision just below the lower lash line. Through the incision, he will remove excess fat, tissue and skin, redistribute fat and make other adjustments to tighten the eyelids and reduce puffiness or bulges. When he’s finished making the necessary surgical modifications, he will close the incisions with sutures and place bandages. 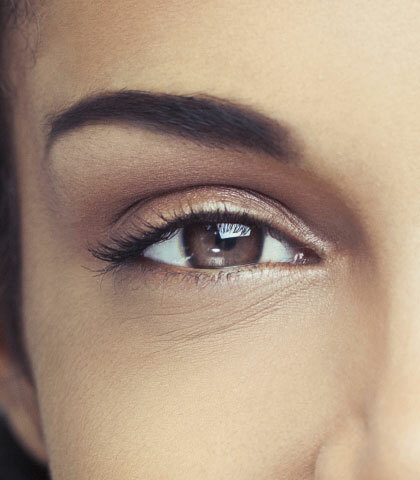 Eyelid lift can be combined with other cosmetic procedures, such as facelift, brow lift or laser skin resurfacing, depending on your personal goals and needs. Your eyelids may be swollen, bruised, puffy or numb for several days after surgery; side effects that will gradually subside. Dr. Abdullah will prescribe pain medication to alleviate any discomfort. It’s important to keep the eyes lubricated with special drops and to use cold compresses to reduce swelling. For one to two weeks after surgery, you should rest and relax at home as much as possible. Short walks around the house are good for healthy circulation, but avoid any strenuous activity, including bending and heavy lifting, until Dr. Abdullah clears you to do so. He will schedule several follow-up visits to check your healing progress, remove the sutures and advise when it is safe to return to work and your normal routine.